From Mediaite: Victoria Jackson fears communists because the first thing that they do is kill the Christians. Reports Mediaite, “Victoria Jackson used to be a featured player on Saturday Night Live, now she’s actively involved in tea party politics. Bill O’Reilly asked her about her political transformation in an interview that bizarrely ended up being mostly about how much she hates communism. She talked about being on SNL during the Reagan years, and somehow went from that to declaring that communists come for the Christians first. Jackson told O’Reilly she wasn’t political when she worked on SNL, but her Christian faith got some mean comments ‘’cause they kind of hated God.’ She said she was educated by a conservative group a few years ago about how ‘socialist’ Hillary Clinton was being challenged by ‘communist’ Barack Obama in the presidential election.” Read on here. From Gossip Cop: Jayma Mays shares her disturbing Bug-in-Ear infection story. Gossip Cop writes, “Jayma Mays visited the ‘Tonight Show’ on Wednesday, and shared with Jay Leno and her fellow guest, Ashton Kutcher, a very disturbing insect problem she had. The ‘Glee’ actress talked about a trip to the doctor for what she thought was a normal ear infection. ‘The nurse puts my head to the side and puts those little drops in my ear, and she goes, ‘Oh, oh, oh,’ and starts backing away … And I’m thinking, ‘Oh my God, are my brains coming out?’’ Mays’ brain was intact, but something else made an appearance. ‘When she put the drops in my ear, it started to drown the insect that was living in there, so it climbed out of my ear. '” Read on here. From Geekosystem: Google announces Chromecast which will let your television act as a screen for your phone, computer, or tablet using a HDMI connector the size of a flash drive. 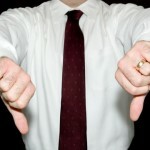 Geekosystem reports, “The next big thing isn’t big at all. It’s the size of a USB flash drive, fits into an HDMI port on your TV, and turns that TV into a screen for your phone, tablet, or computer. And it costs an affordable $35. 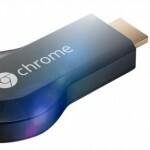 All hail the Chromecast, announced today at an event in San Francisco. At a breakfast event with Google vice-president Sundar Pichai yesterday, Google revealed the Chromecast, which makes your TV a screen for playing online video and transforms your computing device of choice into the remote.” Read on here. From Styleite: This is the end of Dolce & Gabbana. Explains Styleite, “Since being found guilty of tax evasion, sentenced to jail time, and ordered to pay 343.4 million euros plus interest, Stefano Gabbana and Domenico Dolce have been fervently appealing the court’s decision. They’ve made some very public statements, from closing their Milan stores, bars, and restaurants for three days in protest, to even stating that paying the fines would be the end of Dolce & Gabbana. ‘If we deserved the sentence, there would be nothing to say,’ Gabbana said yesterday. ‘But we do not deserve it, and so unfortunately we would have to close.’ Dolce added: ‘We will close. What do you want us to do? We will close. We will not be able to deal with it. (It’s) impossible. '” Read on here. From SportsGrid: A-Rod never actually visited the doctor that cleared him for play. 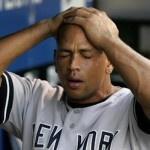 SportsGrid explains, “Just when it seemed that this A-Rod saga couldn’t turn into any more of a mess, it did. In case you missed yesterday’s edition of How Many Ways Can Alex Rodriguez Piss Off The Yankees?, here’s a quick recap before we dive into today’s news: After the Yankees announced that a quad injury will push back A-Rod’s comeback, the third baseman got a second opinion without asking the team from a certain Dr. Michael Gross. Rodriguez is working under the assumption that the Yankees are purposely sidelining him so that insurance will cover his oversized contract.” Read on here. 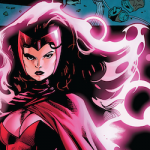 From The Mary Sue: Will there be a headpiece for Scarlet Witch? The Mary Sue explains, “It’s no secret that mutants and strange headband things go hand in hand. If you lived through the early nineties you know what I’m talking about: that thing that half the X-Men wore that could have been called a cowl, except that it was tight to the skin, didn’t cover the face, and also had the top and back of it cut out so that everybody’s Big Hair could flow free. No really: every body. Even Jubilee used some glasses like a headband. And later Storm got in on the whole thing.So I don’t blame Eric Diaz of Nerdist for making sure we got some resolution on the issue of whether Scarlet Witch’s own headband/headpiece would make it to the redesigned live action version of her costume, from Joss Whedon himself.” Read on here. 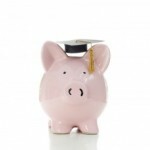 From The Jane Dough: Advice from a student loan consultant: The Jane Dough writes, “Ever since he was a kid, John Smith knew that his calling was in medicine. But while Smith didn’t have to struggle with the ubiquitous ‘What am I going to do with the rest of my life?’ question, the newly minted M.D. has struggled to pay off his high-interest-rate student loans. The problem? Although Smith never missed a payment on his student loans, he was frequently unable to make the entire monthly minimum payment. And whenever he asked his lender to consider renegotiating that amount, the answer was no—and the lender eventually turned his account over to a collections agency that began making threatening calls to his dad, who’d co-signed the loans.” Read on here. From The Braiser: Pete Well’s review has stirred a lot of Twitter controversy. Reports The Braiser, “Using the bully pulpit to demote a highly-regarded restaurant is one thing, but, as the fallout from Pete Wells’s review of Daniel Boulud’s flagship proves, demoting a restaurant because of service inequalities lights all sorts of fires under many asses. For readers and casual diners, Wells’s review championed their expectations of receiving top-flight service no matter their background, while the industry wondered why Wells hadn’t recognized the (inevitable) demise of his own anonymity. After all, they argued, restaurants do provide better service to VIPs, like it or not, and the powerful restaurant critic from the Times is the ultimate VIP. As chef and forager Jeffrey Stoneberger aptly put it, ‘When every captain & GM in the city give[s] out your picture as part of their training, anonymity is impossible. '” Read on here.